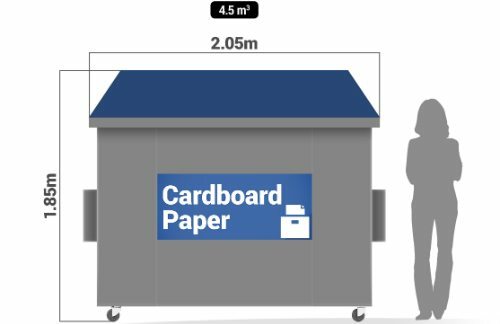 1.1 cubic metre capacity for paper and cardboard. 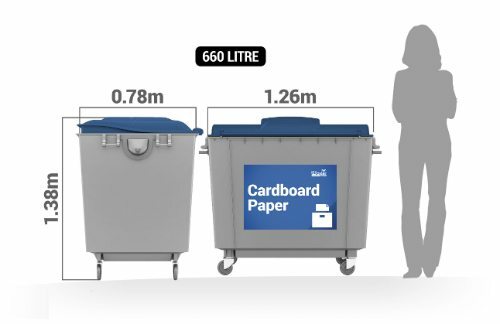 Large plastic bin on 4 wheels. 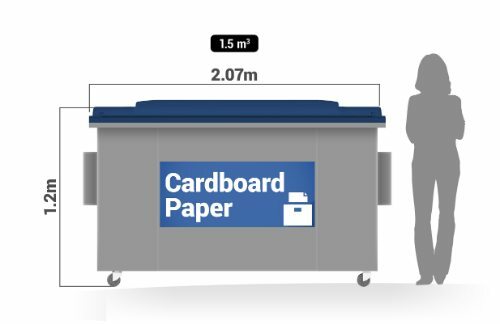 The next size is a metal front lift bin. Collection and disposal of 1100 litre PAC bin. Large plastic bin on 4 wheels. 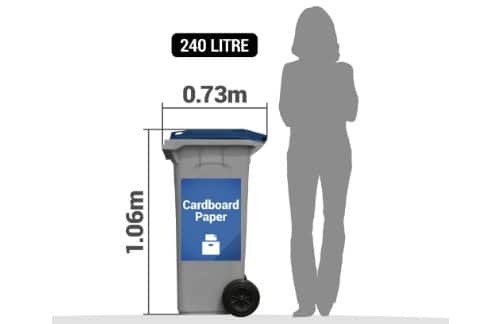 The next size is 1.5m bin – which is a metal bin.